Alderney Week's programme of events is filling up fast and organisers are now appealing for helpers to ensure the annual event runs smoothly. Alderney Week team leader Ronnie Cairnduff said: "We have an action-packed programme but, to pull it off, we need as many volunteers as possible to help organise or run these events. "Alderney Week is a true community festival staged by the people of Alderney for the island's residents and visitors. We hope that, as in years gone by, many parents will get involved in children's events and give us an hour or two of their time to make it all happen." A number of changes have been made to this year's schedule, due to a series of special events. Mr Alderney will take place on August 1 and finish just hours before the official opening ceremony on August 2. A Children's Fancy Dress and Sports Party will also be held on August 2 before the 60th Anniversary Barbecue and Disco takes place on the Butes. The traditional church service and Pedal Kart Grand Prix will be held on August 3, a day before the Cavalcade. A quiz for all the family will take place on August 5 and the Fun Run and Sand Castle Competition will be held on August 6. Man-powered flights will take off on August 7, along with the Beach Olympics and Alderney's Got Talent. The island's X-Factor show will entertain residents and visitors on August 9, as will the Man of Iron event and Daft Race Race. A Triathlon will also be held on the final Saturday, while the Street Market will take place on August 10. Mr Cairnduff said: "There's definitely a wow factor and the good people of Alderney should prepare themselves for some real surprises. "There are many competitions and events for people to get involved in but, as always, it's all about having fun." 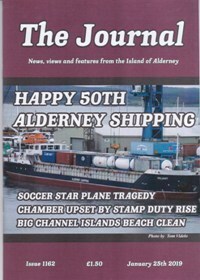 Call 01481 824321 or visit www.alderneyweek.net for further information. 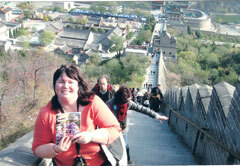 The printed programme will be available later this month.